What do you get out of membership? The Eastern Division of PSIA-AASI conducts nearly 500 educational or certification functions each season in five snowsports disciplines: Alpine, Snowboard, Cross Country, Telemark, and Adaptive. We offer racing programs and other programs specific to various populations such as women, children and seniors. These one-to-five day programs are conducted by highly trained members of our professional staff who are some of the finest clinicians in the country. Our programs are fun, fulfilling and a great value! Passing a PSIA-AASI Eastern Division certification exam confirms that you have achieved standards set by the national organization for personal performance, teaching, and professional knowledge. A certification pin is a validation, and it indicates to the public that they can expect a high level of quality and consistency in the safe, practical instruction they receive from you. PSIA-AASI Eastern Division members may be certified in any or all of four disciplines: Alpine, Snowboard, Adaptive, and Nordic. Many members are certified in more than one discipline, and we encourage such diversification. Most members attend educational updates at least every two seasons in order to stay current with the latest in snowsports education and sharpen their own skills. Two web sites filled with information and resources for you! 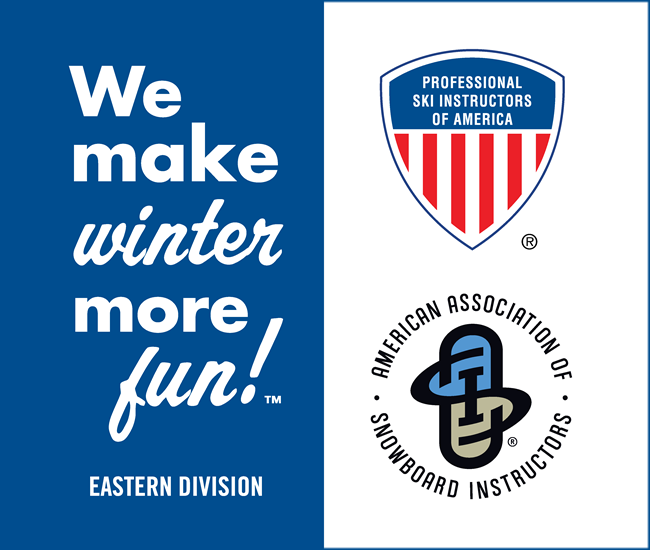 When you join the Eastern Division, you’re also joining PSIA-AASI, under the umbrella of the American Snowsports Education Association (ASEA). 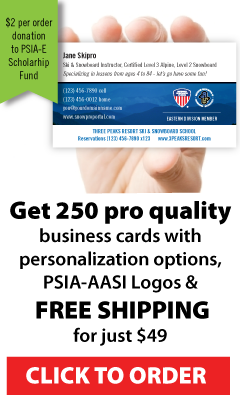 That opens you up to the many member-only benefits, resources and tools available via this web site, www.thesnowpros.org (the national PSIA-AASI web site). The Eastern Division website also has a wealth of knowledge and tools for you to get the most out of your membership! ASEA publishes numerous “core” manuals to support the American Teaching System. In addition, PSIA-AASI E publishes many manuals and study guides specific to various programs or subjects. Many of these resources are available both in hard copy and online. All national members receive a subscription to 32 Degrees: The Journal of Professional Snowsports Instruction, an award-winning magazine that publishes several educational and professional articles each issue. You also receive the Snow Pro, the eastern division newsletter, which is published four times a year and includes articles by our members, technical pieces, divisional news and event information. And last but not least … you’ll enjoy the camaraderie of lifelong colleagues, the fun of learning, the reward of teaching and the joy of skiing and riding!